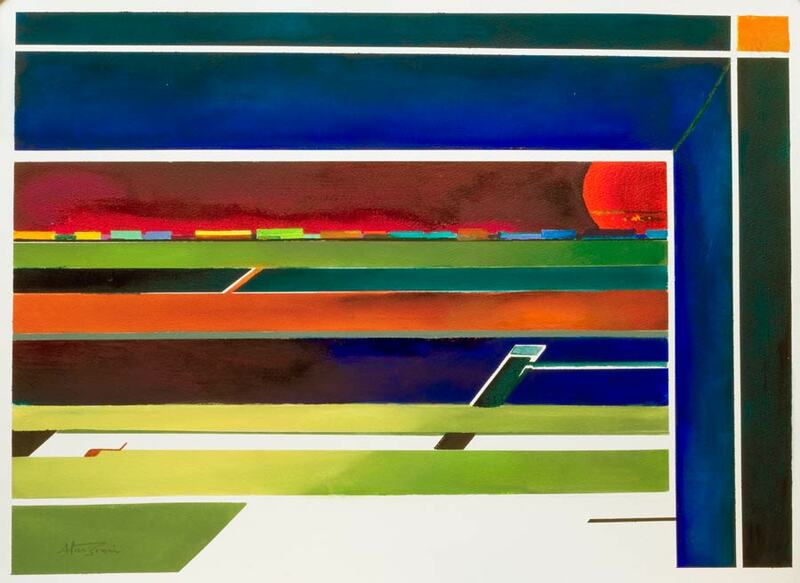 This geometric abstract artwork was inspired by those very long freight trains that transverse the USA and Canada. So purposeful, unstoppable almost with a mystique that awakens thoughts of long distance travel. A romantic notion for sure, but much nicer than reality.